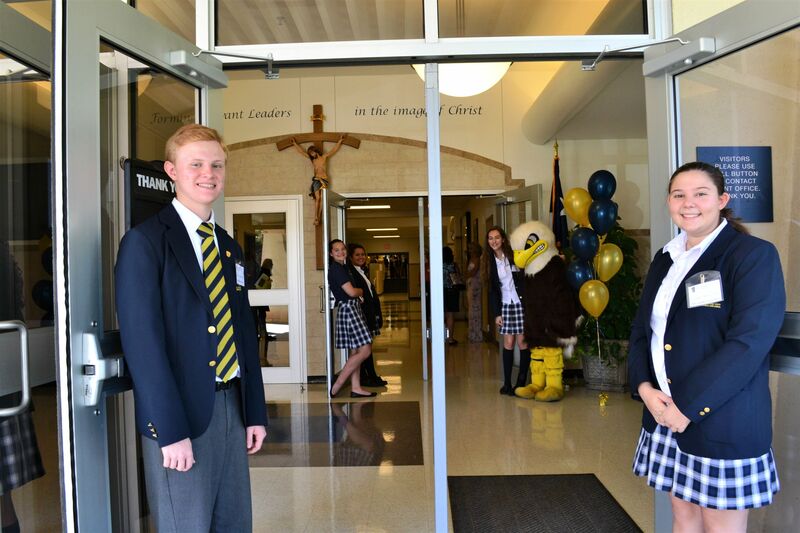 St. Dominic Savio Catholic High School is a co-educational college preparatory school founded by the Diocese of Austin to prepare young men and women to become faith-filled, visionary and inspirational leaders in service to the Church and the world. In 2002, Bishop Gregory Aymond authorized a feasibility study to determine if a Catholic high school in northwest Austin would attract sufficient demand. After a committee was established, the land was purchased and a Capital Campaign was developed. On October 12, 2008, construction began on an 83,690 square feet building with classrooms, science and computer laboratories, a library/media center, an art studio, gym, administrative offices, workrooms, conference room, athletic fields, fine arts and health suites. The school officially opened on August 31, 2009 with 86 students. In 2012, an area in the courtyard was blessed and designated for prayer. Two students designed the prayer garden space to complete their service projects. They placed beautiful plants, stones, benches, and a statue of Mary. In 2015, portable classrooms were added to meet the growing need for the school, to add additional classrooms. In 2016, Savio partnered with the Alliance for Catholic Education to foster top Catholic school teachers. The school started with 15 clubs and athletic teams and now offers over 45 student activities in academics, athletics, fine arts, technology, faith formation and more. Recently, the school received a relic of St. Dominic Savio. The relic was installed inside a custom-built case, built by the Director of Facilities in the school chapel, to remain accessible to any students that may desire to pray with the Patron Saint of the school. As a teenager, Dominic Savio was described by Pope Pius XI, as "small in size, but a towering giant in spirit." 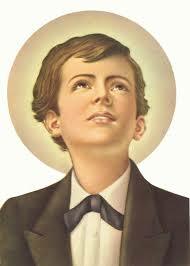 Dominic Savio was born on April 2, 1843, at San Giovanni di Riva, near Turin, Italy. Dominic was one of ten children born to Carlo and Birgitta Savio. A prayerful and promising student of St. John Bosco, Dominic was an ordinary young person with an extraordinary love of God. Unfortunately, Dominic died from tuberculosis on March 9, 1857. He was canonized on June 12, 1954. "You have many good boys, but none can match the good heart and soul of St. Dominic Savio. I see him often at prayer, staying after the others; every day he slips out of the playground to make a visit to the Blessed Sacrament. When he is in Church, he is like an angel living in paradise." We appreciate your interest in employment at St. Dominic Savio Catholic High School. For more information, please visit the Catholic Diocese of Austin Human Resources website, where job openings are posted. Thank you. Our crest symbolizes our Core Values of faith, scholarship, and witness. The cross represents faith. The lamp represents wisdom gained from scholarship. The stripes represent discipline. The star represents Texas, the Lone Star State, and light. In order to witness faith, scholarship, and service, we need light.